Note: The text in italics directly below was updated on November 10, 2014. Though Jesse Tyler Ferguson lost the Emmy Award to his cast mate Ty Burrell, his popularity and critical appeal have not suffered. He recently received his third consecutive People's Choice Award nomination. Voting is now open. The 41st People's Choice Awards ceremony takes place January 7, 2015. 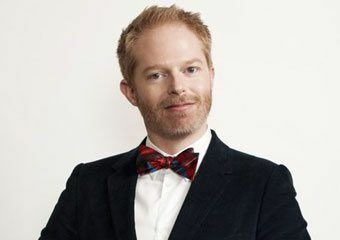 Congratulations to AMDA alumnus Jesse Tyler Ferguson on his Emmy Award nomination for Outstanding Supporting Actor in a Comedy Series for “Modern Family.” Since 2009, he has starred as Mitchell Pritchett on the award-winning comedy, and is no stranger to both nominations and awards. He received four prior Emmy Award nominations for his work on “Modern Family,” as well as a People’s Choice Award nomination in 2013 for Favorite Comedic TV Actor. Tyler Ferguson is a four-time winner of the Screen Actors Guild Award (2014, 2013, 2012, and 2011) for Outstanding Performance by an Ensemble in a Comedy Series for “Modern Family.” In 2005, he won a Drama Desk Award for Outstanding Ensemble Performance for the Broadway production of The 25th Annual Putnam County Spelling Bee. With regard to "Modern Family," Tyler Ferguson previously remarked, "It is rare to be a part of something that feels fresh, original and (frankly) artistic. I've been lucky to experience it twice now, first with "The Class" and now with "Modern Family." He attended AMDA NY and graduated from the Integrated Program.